Homeowners usually complain about finding mold in damp areas of their home. The best way to prevent mold from growing requires a proper plan, where the builders need to include the aspect of preventing mold when designing and planning a home. Nobody wants to see mold growing anyhow in any part of their homes. It requires to remove any growing mold around the house any time you spot it and also get rid of anything that might be the reason as to why mold may grow. To help you out, here are some of the mold remediation tips that you need to consider. Whenever you detect mold is growing around or inside the house, know that it is an indication that there is a source of moisture somewhere. The first step you need to take is to clear the area, find the source of moisture like any leaking pipes and do the repairs immediately. Find the source of the water wetting the place and make sure your house is dry at all the times, and this way, you won’t have any moisture place that provides the habitat for mold to grow. You also need to document all the mold problems that you have found before coming up with a mold remediation plan. You can take photos, videos or even write documentation which you can hand to the experts and use it to come up with a mold remediation plan that will ensure the mold problem in your home is permanently solved. The documentation can be used to manage liability and creating a long term mold remediation plan by performing the remediation and determining whether the goal has been achieved in the long run or not. Determining how far mold growth has affected your home will be necessary when coming up with a mold remediation plan. 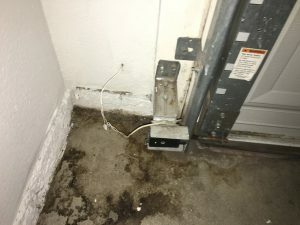 Contamination and the extent to which mold has affected your property in determining the best technique to eradicate mold as it will help in cleaning, removing the mold and also know the right products to use while protecting those dwelling in the home. It will help the builders to use the best mold remediation levels to use when building your home where the six levels of mold remediation in square feet is the most recommended plan. The task of remediating the existing mold involves cleaning every aspect of mold detected and also preventing any more mold growth aspect. Any moisture source needs to be sealed and repaired permanently. Make sure that all the guidelines of mold remediation are followed to the latter following every square footage and in respect to the remediation levels depending on your region. Finalizing the cleanup process does not guarantee that mold won’t grow again or simply just die off. You need to ensure that any moisture source is fixed, all leaking water points permanently fixed and that there is no sign of any water leakage and follow the above mold remediation tips. Ensure that no signs of mold left behind, the is no contaminated materials or odor and ensure that the dwellers can occupy the house again without any trace of mold, and this means that your task has been a success.